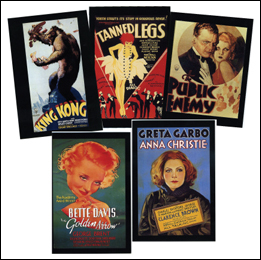 It’s an abundance of riches - 30 different classic movie posters on 4 X 6 postcards. These range from the original silent "Ben Hur" through some great Garbos and Gables. All are different with studio and date.